Ancient humans found in Siberia in 2010 may have inhabited the site as early as 110,000 years ago and revisited the cave over a time span of 60,000 years, scientists said. The new findings also show that there was significant genetic diversity within this human kind. 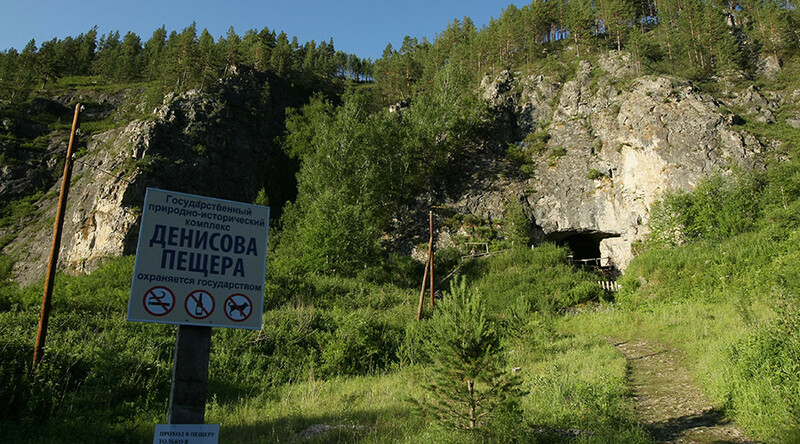 The first bones of ancient humans discovered in the Denisova cave, in Russia’s Altai Region, were found in 2008. The finger of a girl who lived in the cave some 50,000 years ago genetically differed from Neanderthals, Cro-Magnons and more ancient Homo heidelbergensis. A team of scientists studied the newly found archaeological remains from the Denisova cave – three human teeth found by Russian professors Anatoly Derevyanko and Mikhail Shunkov – and concluded that they are much more ancient than the finger of the girl. The Denisovans appear to have lived in the cave as early as 110,000 years ago – but maybe even before that, the study published in Science magazine said. To come to their conclusions, the scientists sequenced the entire mitochondrial DNA (mtDNA) genomes and counted the number of differences between the found Denisovans. The researchers used a human mutation rate to assess how much time it took such mutations to emerge. “The exciting thing, I think, is that it has been shown that Denisovans, this group of humans were at very different times in that cave. It shows they are a group that existed over a long time – over at least 50,000 – 60,000 years and probably a lot more,” paleogeneticist Professor Svante Paabo from Max Planck Institute for Evolutionary Anthropology in Munich, Germany, told RT. He also said that the studied teeth may even be 170,000 years old. “Denisovans are sort of a distant relatives of Neanderthals that existed in Eastern Eurasia – for sure in Siberia but probably much more widespread in Asia because they have contributed to people who today live in the Pacific – Papua New Guinea, Australian aborigines and so on,” Paabo said. The status of Denisovans as a human species is still under debate as not enough remains have been found. “They lived in the in-between Neanderthals – Denisovans lived there, then Neanderthals lived there, then Denisovans again, it seems,” he added. The scientific team also revealed significant genetic variety among Denisovans. “We find that nuclear diversity among the four Denisovans is higher than among seven Neanderthals for which nuclear DNA have previously been recovered,” Viviane Slon, from Paabo’s team, told the annual conference for the European Society for the Study of Human Evolution which took place on September 10-12. The diversity can be explained through the mixing of different groups as well as with the age gap between the remains, from Slon’s point of view. Professor Paabo concluded that 50,000 years ago there were at least four human groups: modern humans, Neanderthals, Denisovans and short Homo floresiensis nicknamed hobbits who were found in Indonesia. But in the following 10,000 – 20,000 years all human types except the modern one disappeared. Further research about Denisovans may help us to understand the origins of some diseases as Denisovans contributed to the genome of modern people. “Denisovans live a little bit in people today,” Paabo said.